MoreApp's forms app is a great mobile business app to eliminate paperwork. Create forms online with our Form Builder and fill them in on your tablet and smartphone with our forms app. There are many forms apps you can choose from these days. Look for forms apps on Google or in the app stores and you'll find tons of mobile forms apps. Why is MoreApp the best choice? After reading this it's up to you, if you want to try our forms app for free! Collecting data on the go is as easy as it gets with our forms app for iOS and Android. Always carry your digital forms with you. MoreApp's forms app enables mobile users to receive pre-filled forms from the office, collect data in the field and submit complete forms with photos and signatures. Our forms app supports offline form completion, and saving partially completed forms so they can be completed at a later time. 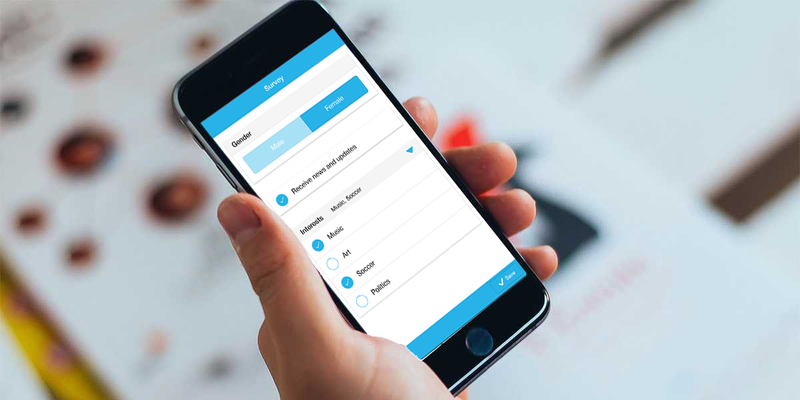 MoreApp's mobile forms work on Android, iPhone or iPad devices. Need a forms app to eliminate your paperwork? Use our digital forms software, no coding is needed. Just easy dragging and dropping using the MoreApp Form Builder to set up professional mobile forms. Find templates in the MoreApp Marketplace and configure them to your own liking. How fast can it go? Within 10 minutes you can have the forms app ready to use and can fill in work orders, surveys, visit reports, inspections, and every other digital business form. You only Pay-Per-Use and testing is for free! Download our digital forms app for free from your app store of choice. Even save more money and time? Integrate MoreApp with your existing IT system. Interested? Ask us for more information.